1. The Packing Box Tape should be placed in a roll, not folded. When the storage time is too long, it should be turned once every quarter, and the tape should be stored in the warehouse to avoid sun and rain. Secondly, the type and specification of the tape should be reasonably selected according to the needs of use and specific conditions. 2. Again, do not let the tape snake or creep, keep the roller, the vertical roller is flexible, and the tension should be moderate. In addition, cleanliness is the basic condition for the good operation of the tape, and foreign substances can affect the belt eccentricity. 3. Colored Bopp Tape, generally more yellow and khaki. By pinching the adhesive and then pulling it open quickly, the rubber can be pulled off and the purity and transparency of the original film can be seen. You can also look at the thickness of the glue. If there is no glue pulled apart or pulled apart, there is a lot of impurities in the glue, and the glue has no cohesion. 4. The second is that the water is too much and has evaporated. At this time, the initial adhesion of the tape has been greatly reduced, and the hand feeling can be distinguished. In fact, there are many ways to distinguish between good and bad tapes. As long as you pay more attention to your life, you can tell whether the tape is good or bad. 5. The initial adhesive force of normal sealing tape is between 15-20. The thickness of this tape glue is generally 22-28 microns. Is the thickness that meets the standard. 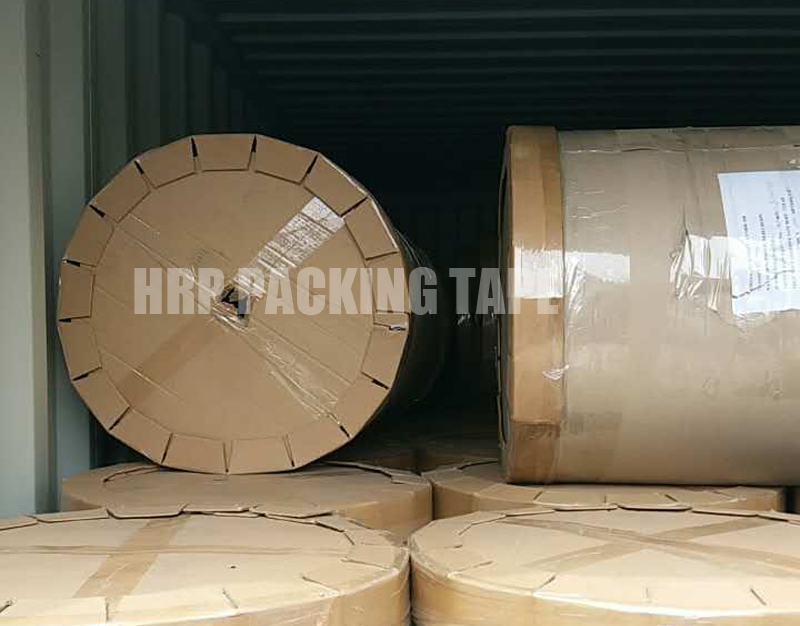 However, most of the tape on the market is mixed with impurities, so the thickness is increased, so as to mask the impurities, the glue is also mixed with toner, so the transparent tape will appear egg yellow, light green, and the tape is generally inferior. Next: Why Is Acrylic Packaging Tape Aging?